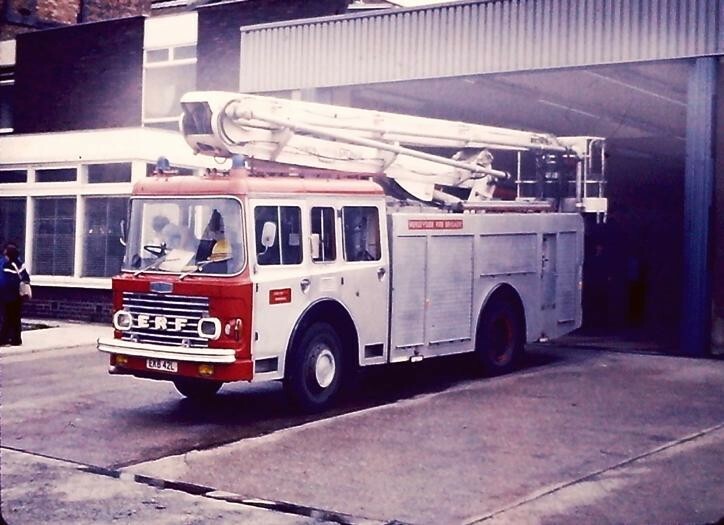 mid 1970s Liverpool City appliance absorbed into Merseyside. Bankhall fire station. Compare with picture #20936 which does not have ERF lettering.